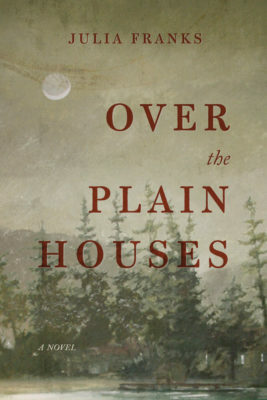 In Over the Plain Houses, Julia Franks weaves masterful misunderstandings between a married couple who can’t seem to communicate their thoughts and feelings with one another, leading to ever-intensifying stakes that cause each to make decisions from which they can never recover. Irenie Lambey’s life isn’t anything close to what she’d imagined it would be. Yes, she’s inherited her family’s gorgeous farmland, and though she married handsome logger Brodis, who’d won her teenaged heart, when he gives up logging for hard-shell Bible-thumping in a pulpit, she’s suffocated by his heavenly teachings and heavy-handed rules. “No,” she allowed. “Not working on the farm.” Her hands splayed above and below the nail head, long-fingered and slender and traced with a blue-veined filigree that put him in mind of the tiny skeletons the plow turned up in the tousled earth, the white-laced surprise of them. Brodis grunted. “Charity then.” He bent forward and positioned the nail between her hands. He brought his hammer arm up. Then he stopped. . . . He shoved a new board into place. The hammer arced through the air and met the nail head with a loud crack. A man hadn’t ought to suffer a woman to teach, nor to take authority over him, but to be in silence. The few things Irenie has solely to herself are her thoughts and her surreptitious nighttime strolls alone through the woods. Brodis spots his wife’s shoeprint on the ground one day and realizes she has been slipping out at night. Soon after, Brodis forces himself on Irenie, taking her in anger, and she fears a demon has overtaken him, as she’s only known him to be a gentle, tender lover. She begins to fear this new violence in Brodis and determines to leave him. When she discovers that she’s pregnant—a result of being raped by her husband—Irenie is determined to do whatever it takes to get out of her marriage. Meantime, Brodis is afraid that his wife is exercising some sort of supernatural ritual during her late-night rambling through the woods. Night after night he lay waiting for her to stray. But she slept a lamb’s sleep, curled toward the wall, the buttons of her spine against his chest. During the day, her mind seemed bewitched by the notion of a different life. . . . People didn’t travel at night, unless they were blockaders cooking mash, or, in another time, witches who’d promised themselves to the dark. When Brodis discovers his wife missing during one of her nocturnal prowls, he decides to follow her at a distance. He doesn’t see Irenie slip into the secret cave where she hides odd souvenirs of her mountain life—the bones of a dead fox, her son Matthew’s baby teeth, river stones, programs from revivals, and baby clothes—so he thinks she has supernaturally disappeared. When he spots cloven-hoof prints on the ground near his wife’s footprints, instead of recognizing them as the marks of wild boars, he believes his wife has consorted with Satan himself and has become a witch. Terrified, he prays for a chance to “leverage her soul,” and he determines to seek out a preacher known for casting out devils. Reaching this decision, he sits watch over Irenie’s bed. He didn’t turn down the lamp. In place of getting into bed, he set himself in the chair and waited for the tremor in his legs to still, staring wide-eyed at the delicate slope of his wife’s shoulder. He had the sense that they were both of them perched at the end of a great precipice, even at the edge of time itself. Brodis and Irenie each make soul-searching decisions out of desperation; choices that will destructively alter their own lives, as well as the lives of many townspeople around them. Julia Franks delivers her breathtaking drama in Appalachian dialect both plain and mellifluous, conjuring the wild and raw splendor of the mountain landscape of the late 1930s and the people who inhabit it. Over the Plain Houses is astoundingly harsh, yet beautifully brave, creating hope out of heartache and fans out of all who read it. 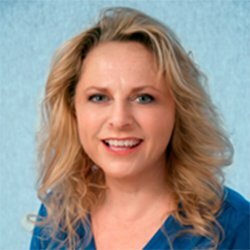 Rhonda Browning White resides near Daytona Beach, FL and works as a ghostwriter, editor, adjunct professor, and Realtor. (She does what it takes to support her writing habit!) Her work appears in HeartWood Literary Review, Bellevue Literary Review, Steel Toe Review, Ploughshares Writing Lessons, Tiny Text, New Pages, South 85 Journal, WV Executive, Mountain Echoes, Gambit, Justus Roux, Bluestone Review, in the anthologies Appalachia’s Last Stand and Mountain Voices, and is forthcoming in World Enough Writers: Ice Cream Anthology, by Concrete Wolf Press. Rhonda recently was awarded the Sterling Watson Fellowship for the Eckerd College Writer’s Conference: Writers in Paradise. She blogs about books, writing, and celebrating life at “Read. Write. Live!” found at www.RhondaBrowningWhite.com , and about the craft of fiction writing at www.WhyTheWritingWorks.com. She has an MFA in Creative Writing from Converse College in Spartanburg, SC.